Looking for a customised package to perfectly suit your business needs? Power your business with a professional, customised website that works for you. Engage your customers and strengthen your brand. Search Engine Optimisation uses the Organic power of Google to your advantage. SEM solutions are proven to bring qualified traffic. Fire up your online promotion with a Professional video. Shooting up to 4K resolution with advanced, high quality video and audio editing. Specialising in complete Social Media Marketing and Management Solutions. From concept and strategy, to testing and analytics. Secure web hosting. Our Host Servers are 100% Australian and have a solid reputation for their speed and reliability. Affordable Website Care Packages to keep your website secure and always performing at its optimum level. Whether your business needs a high quality logo, advertising material, or you just want to sharpen up your résumé. Choose from a variety of online courses or request personal, customised training to perfectly suit your business needs. Beautiful, responsive websites create a platform for your online success. Your website is specifically designed to convert your visitors into customers, blending visual appeal with practical functionality. Digital Marketing Solutions tailored for your industry will help you to maximise the effectiveness of your business online. Beautiful, responsive websites create a platform for your online success. Your website is specifically designed to convert your visitors into customers, blending visual appeal with practical functionality. Thank you Matt for taking my abstract ideas and turning them into a fully functional and beautiful website. Your technical expertise combined with GREAT style and great customer service meant that the transition to this (amazing) new website was as painless as possible . 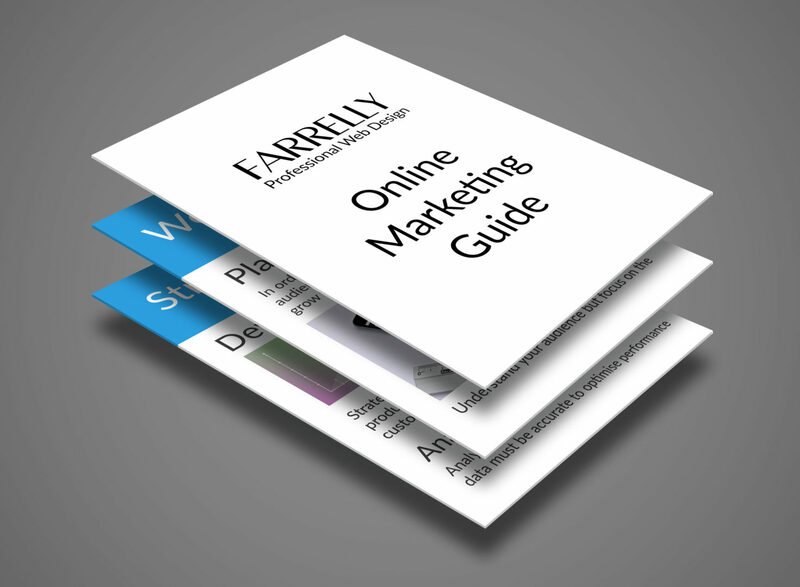 I highly recommend Farrelly Web Design for any business wanting to step up to the next level. Thanks Matt for the fantastic job you did on the Lost Paradise website. I will be recommending you to everyone. Matt from Farrelly Web Design was such a pleasure to work with. He made it so simple for me. His knowledge in the field is remarkable which enabled me to trust his concepts. I was so pleased with the outcome, it has exceeded all of my expectations. Thanks Matt, from everyone at Rose Studio!